LISOT News: Congratulations to LISOTs Russell Clarida - North American Optimist Champion! Congratulations to LISOTs Russell Clarida - North American Optimist Champion! The 2011 IODA North American Continental Championships came to a close this past Wednesday in Cabrillo Beach, CA. After 13 days of practice, sailing, and hotel-hijinx, the LISOT sailors had a successful overall regatta. The Port of Los Angeles did not disappoint in the wind category either. Breeze was fairly consistent throughout all the days of the regatta, with 15-20 knots and lots of waves! Part of the LISOT team got to show their talent in the water in other ways as well. Augie, Jack, Will, Audrey and Jared took some time out to catch some waves in Hermosa Beach on the 4th of July. 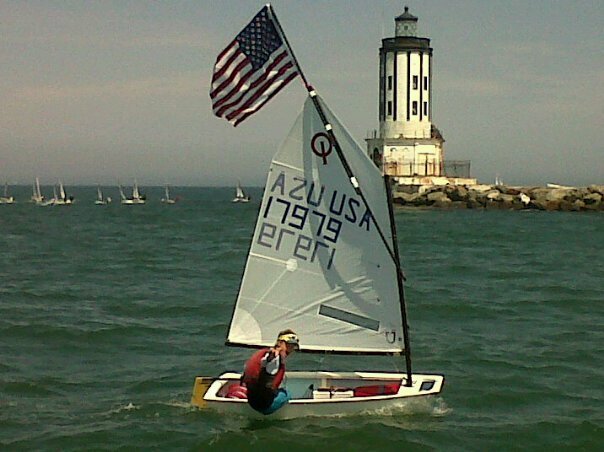 PLEASE check out the 2011 OptiNAM Team USA Blog for photos and daily reports! Also, check out the videos posted from each day of racing, as well as the final ceremony! Plus Dave Hein and Davis Gaynes have slideshows of sailing pictures that were posted to the blog as well!